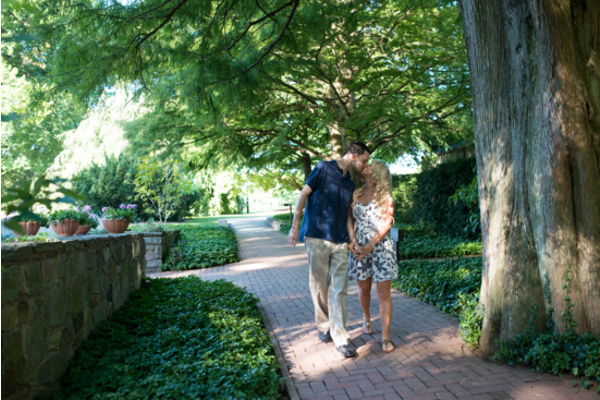 Congratulations to Ashley and Scott on their engagement! 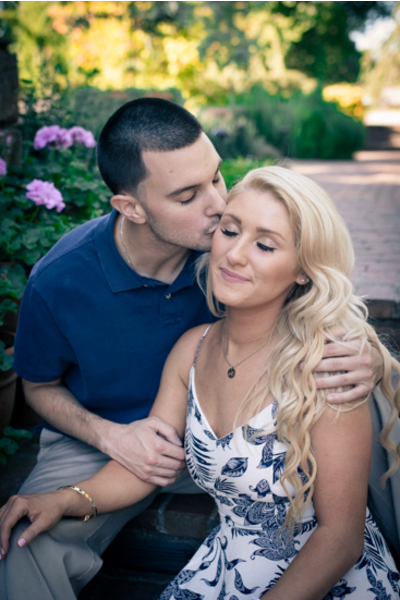 The lovebirds will tie the knot this summer at the beautiful North Hampton Valley Country Club located in Richboro, Pennsylvania. The photos from their nature-filled engagement session at the lovely Longwood Gardens will get you in the springtime mood! 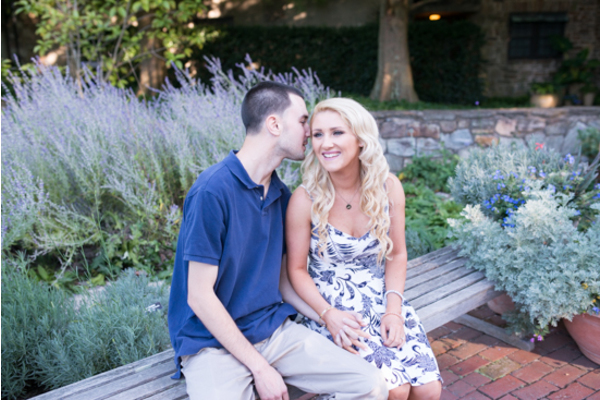 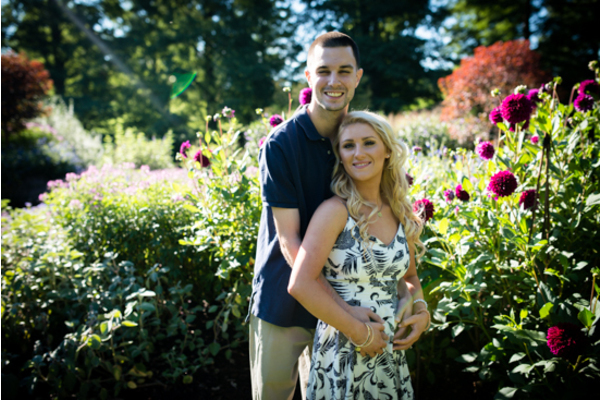 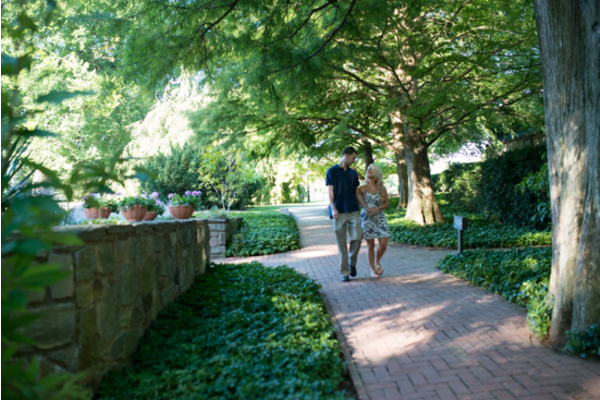 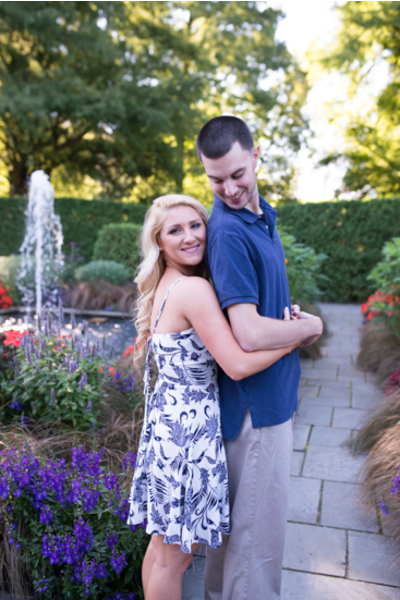 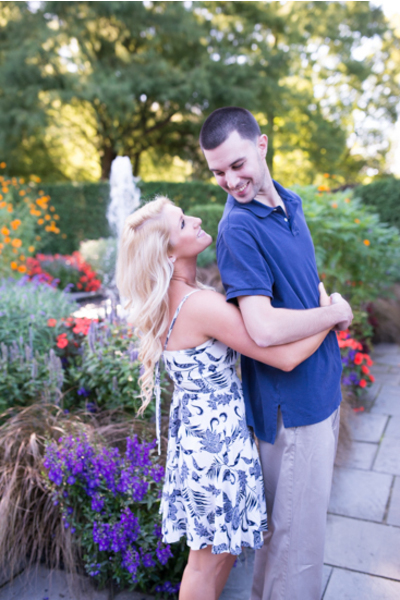 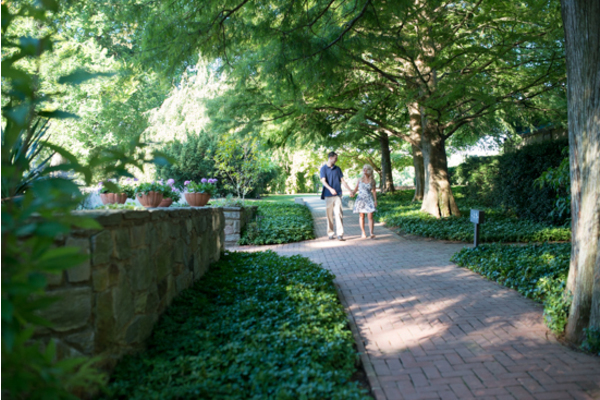 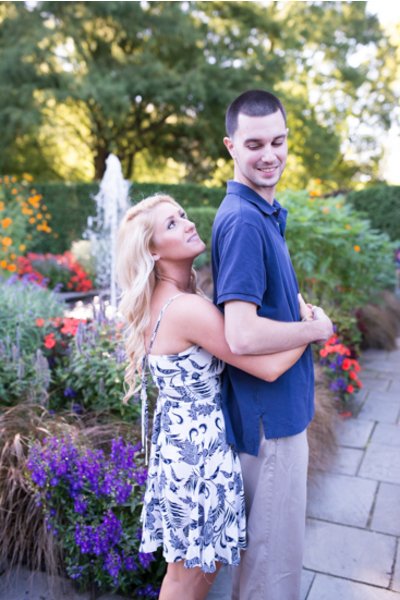 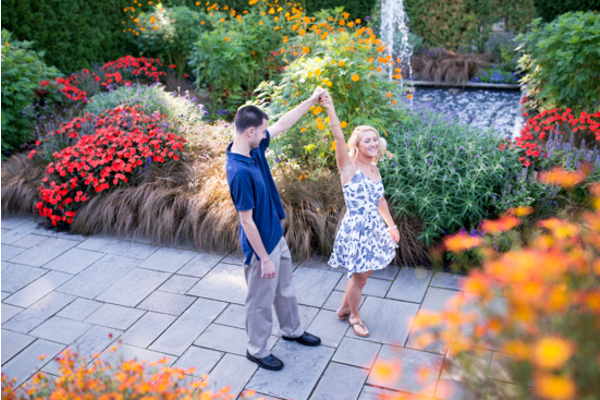 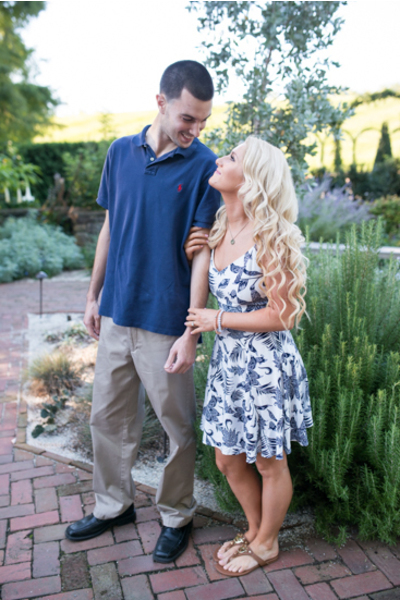 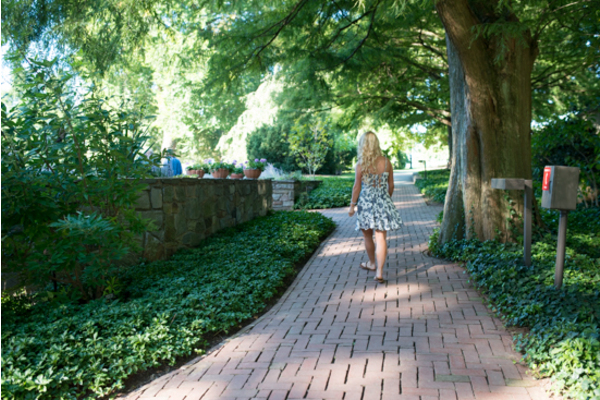 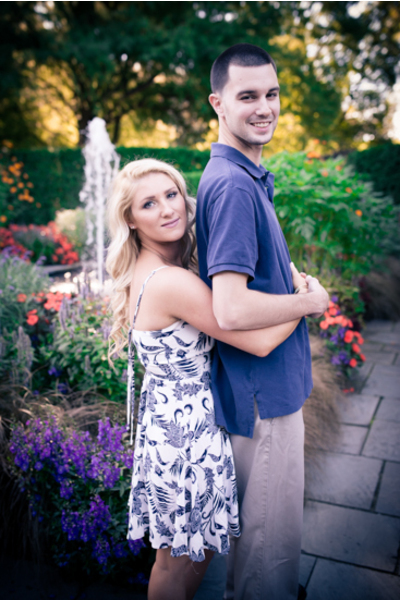 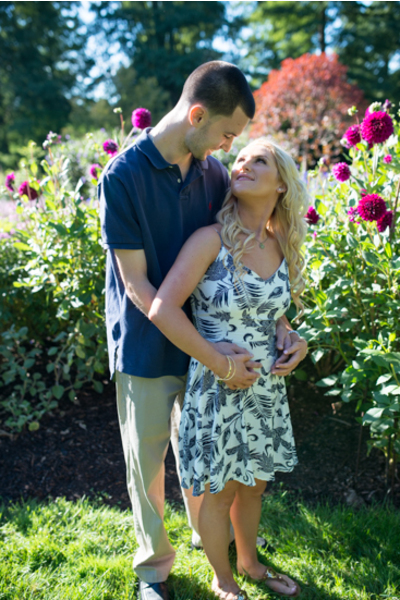 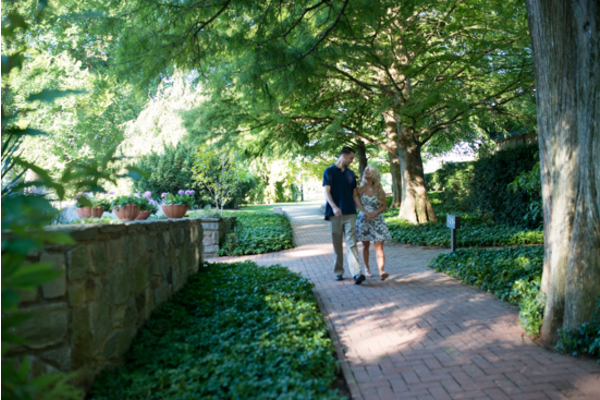 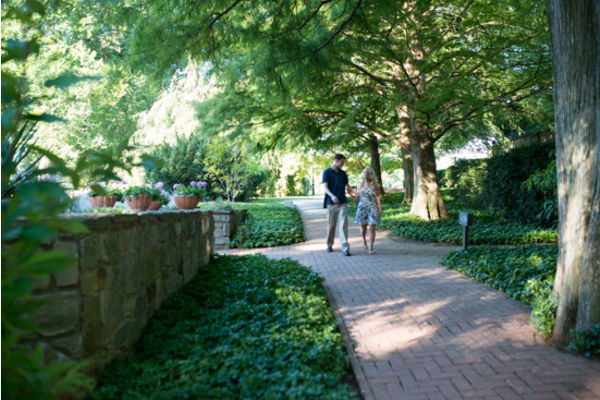 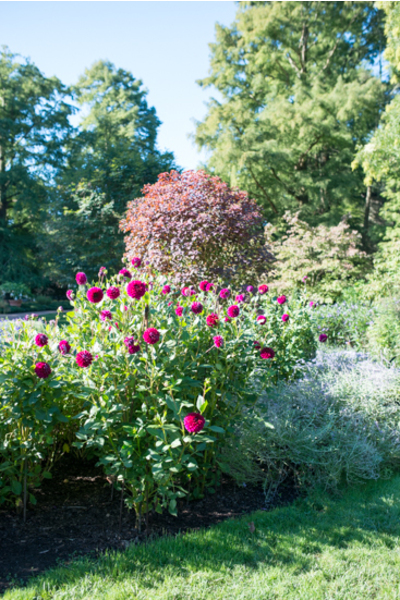 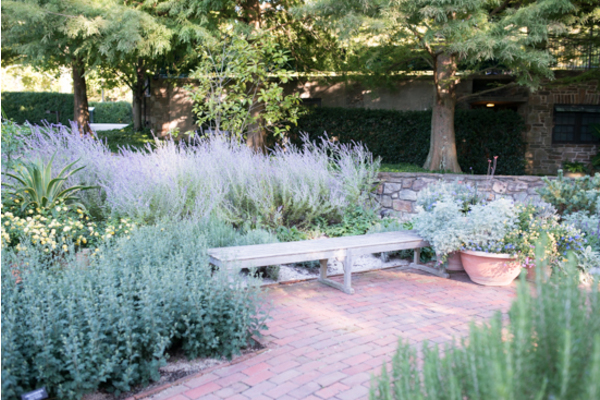 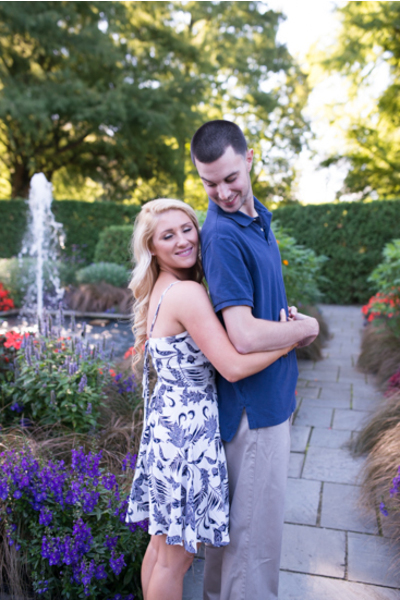 Our NJ Wedding Photographer thoroughly captured the beauty of Longwood Gardens and the couple. 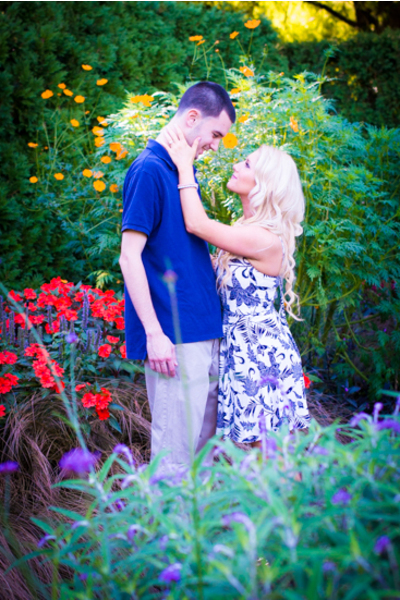 Ashley wore a white and blue patterned sun dress that complemented the floral landscape perfectly. 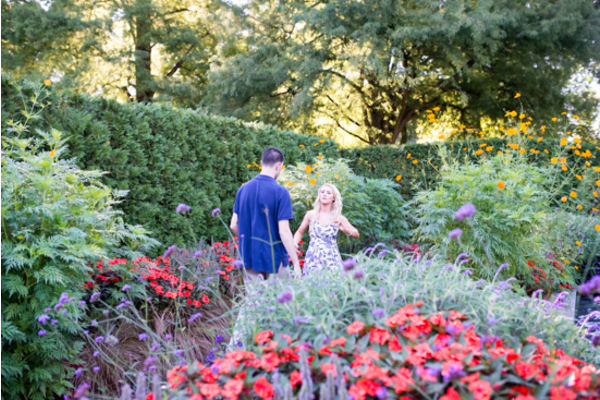 The vibrant color flowers and greenery surrounded Ashley and Scott during their breath-taking engagement session. 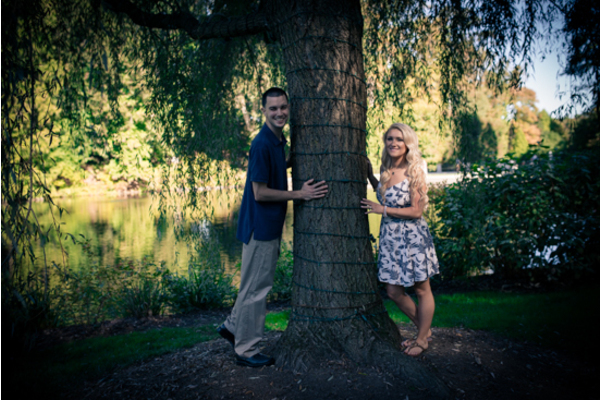 Ashley and Scott even held a “Love” sign on a string with them for some of the pictures. 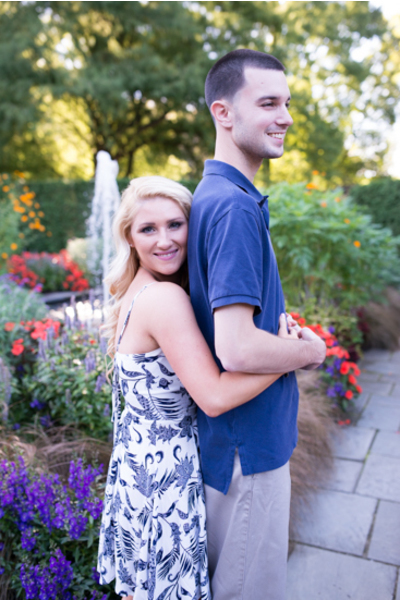 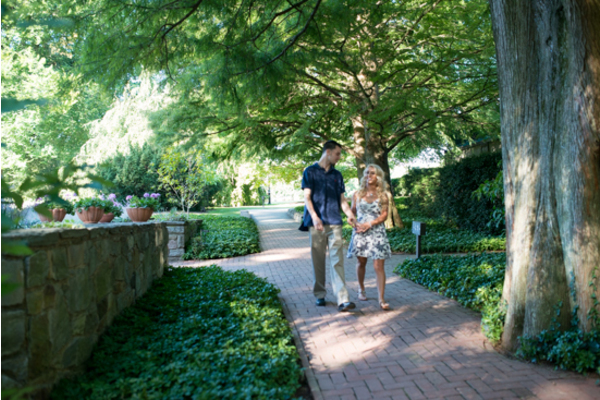 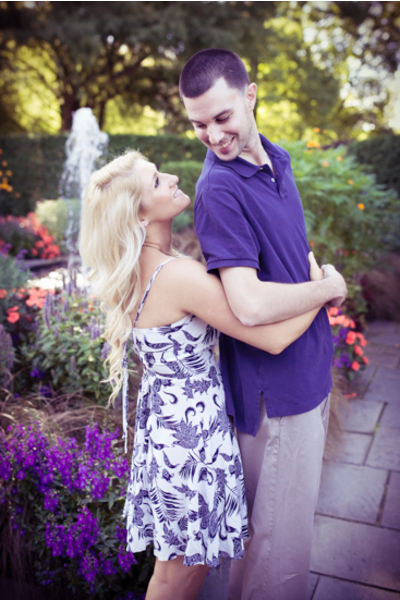 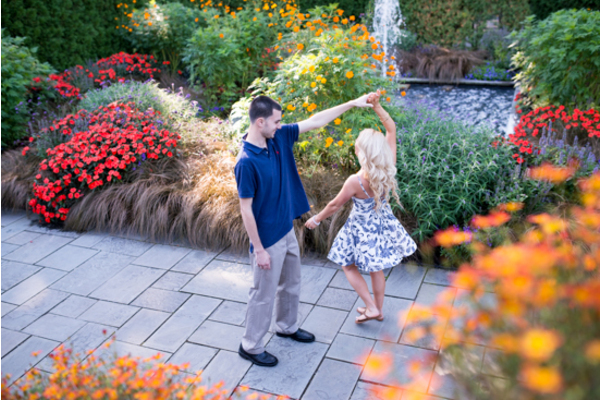 It could not have been a brighter day outside in the magical gardens for an engagement session like this one! 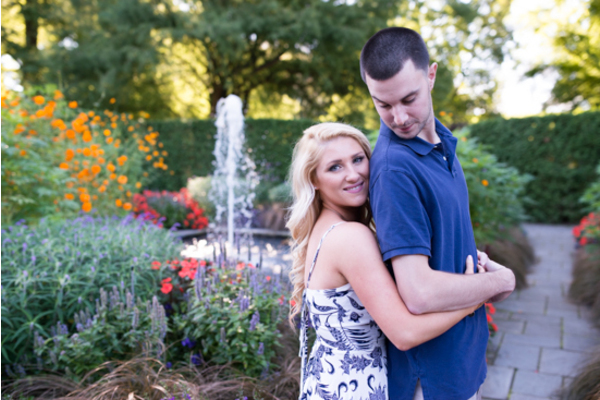 The wedding day will be here before we know it for Ashley and Scott! 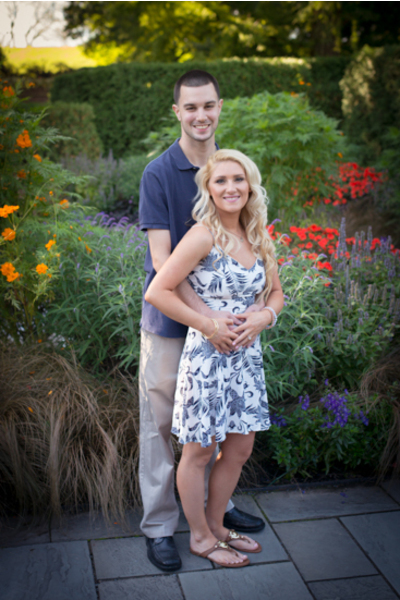 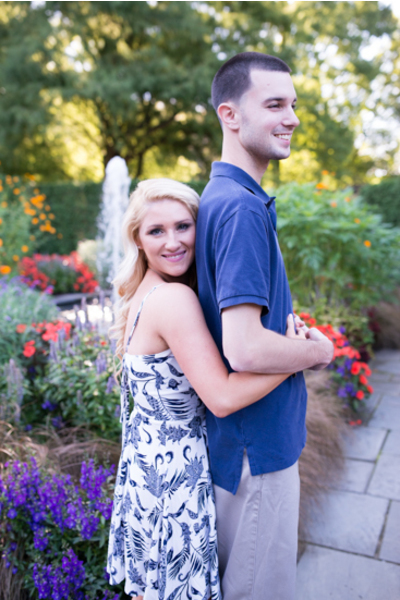 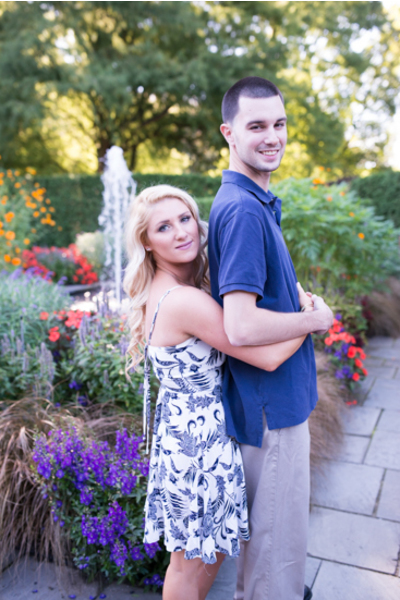 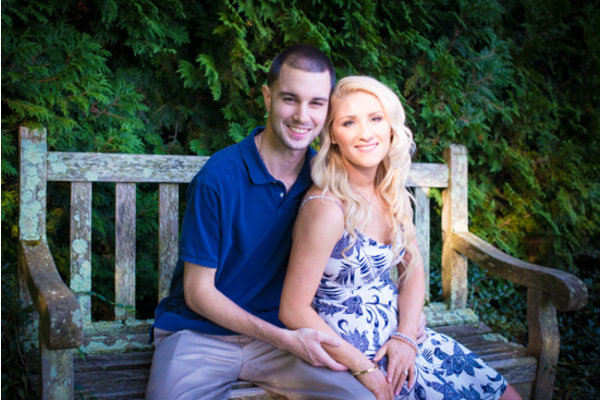 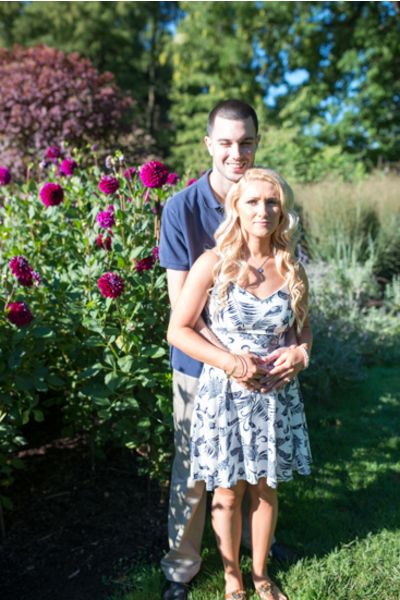 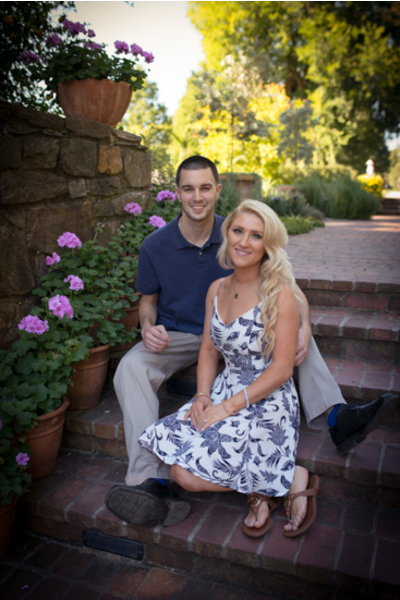 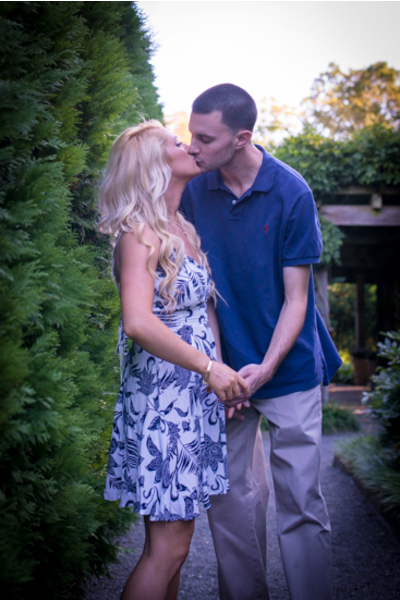 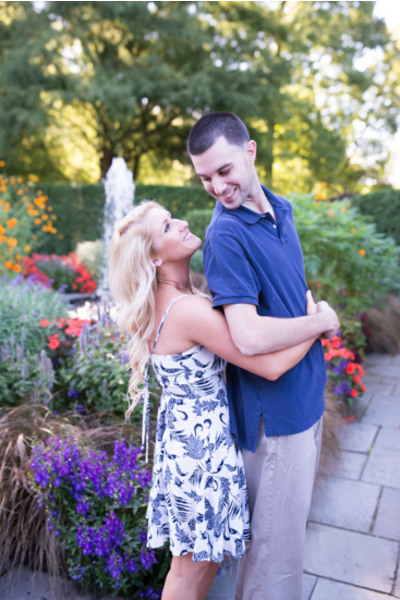 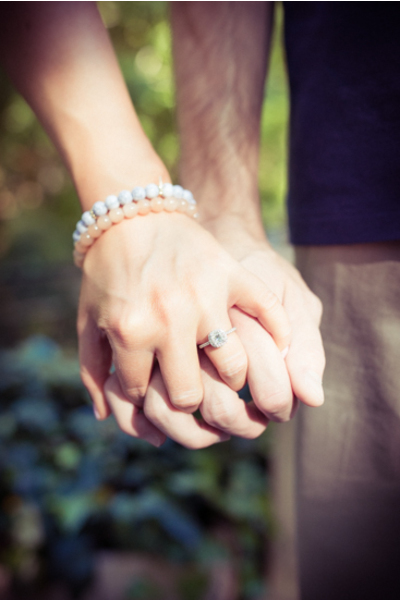 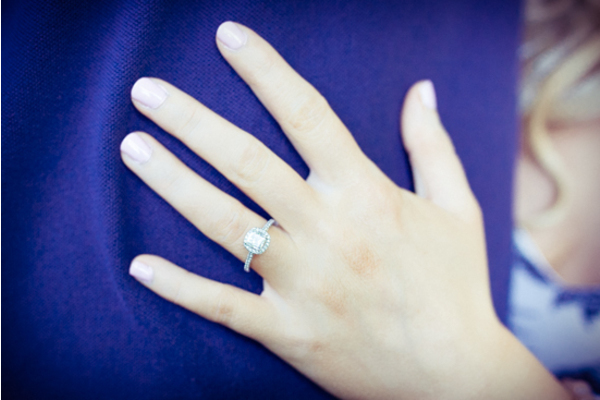 We can’t wait to see the awesome work that our NJ Wedding Videographer will do on the big day. Our NJ Wedding Photobooth Session will also make the night unforgettable for every guest in attendance. 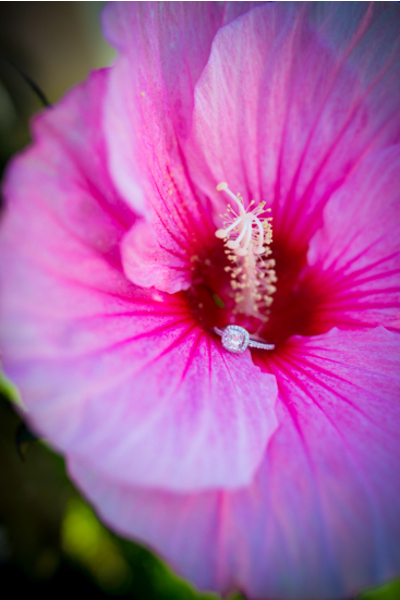 Congratulations, again, to Ashley and Scott. 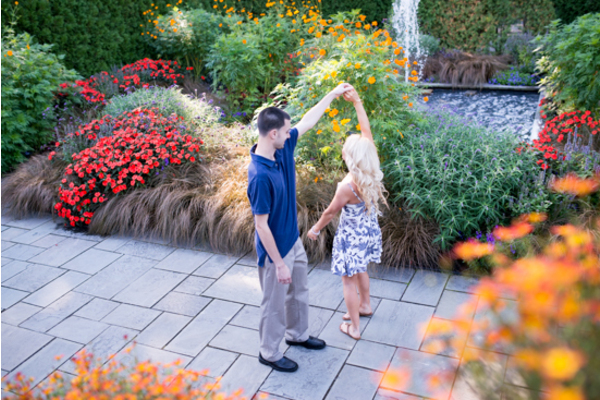 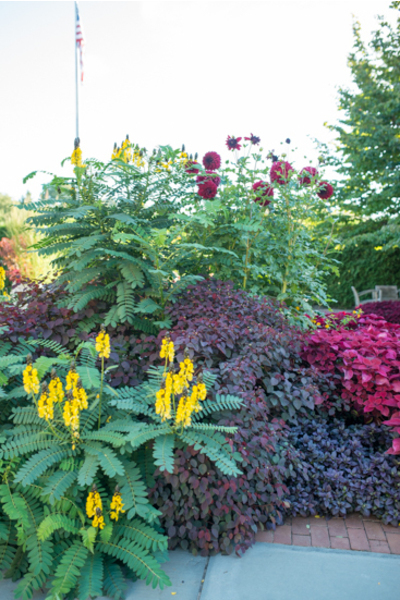 Like the pretty flowers in the garden, we hope your love stays blooming!